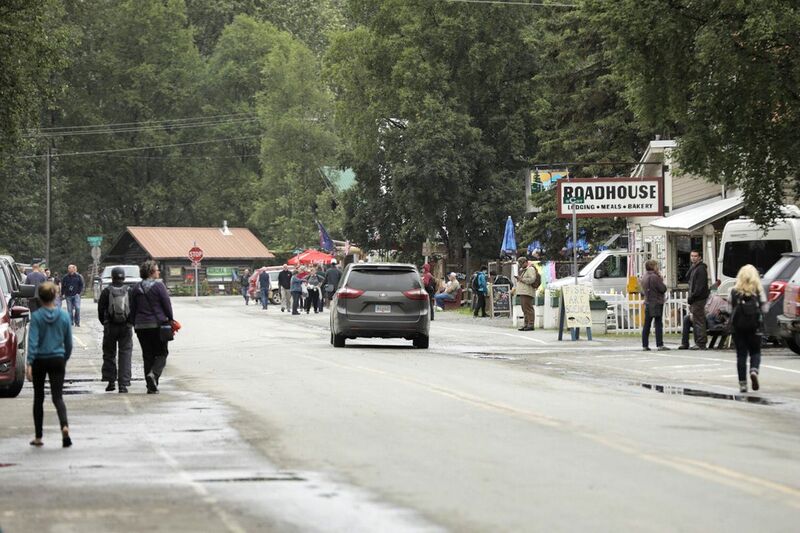 TALKEETNA — In a place where traditions of aviation and tourism run deep, the news that five people were presumed to have died in a flightseeing plane crash spread painfully Monday through the town. 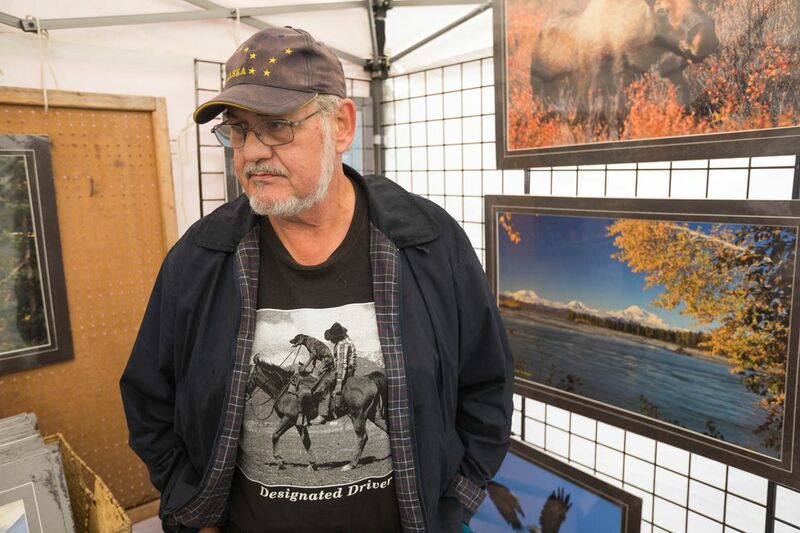 "We're all heartbroken," said local photographer Ron Caldwell, standing at his booth Monday afternoon at a small open-air art fair just off the main downtown street. "I thought about it all night long. Been thinking about those people." About 900 people live year-round in Talkeetna, which is about a 2 1/2-hour Drive north of Anchorage and a hub for visitors traveling to Denali and the Alaska Range. But the population swells in the summer with visitors hoping to see Denali, and the pilots, guides and other seasonal workers who help them get there. On the road in, signs advertise the flight services of several aviation companies, offering airborne tours of Denali's spectacular glaciers. The Saturday crash was the deadliest of an air taxi in the Alaska Range in decades. On Saturday night, as word of the crash began to emerge, there was some hope. The pilot, Craig Layson of K2 Aviation, made two calls by satellite phone in the hour after the crash and reported injuries. "Most people were kind of expecting the worst," said Stephanie Spone, who owns Nagley's Store on Main Street with her husband, Kjetil. "But you still hoped." At Latitude 62, a favorite local dinner spot, there were a lot of rumors circulating, Caldwell said. Everyone was waiting to hear, he said. But as it became clear Sunday the crash victims would be spending another night on the mountain, hope began to give way to anguish. 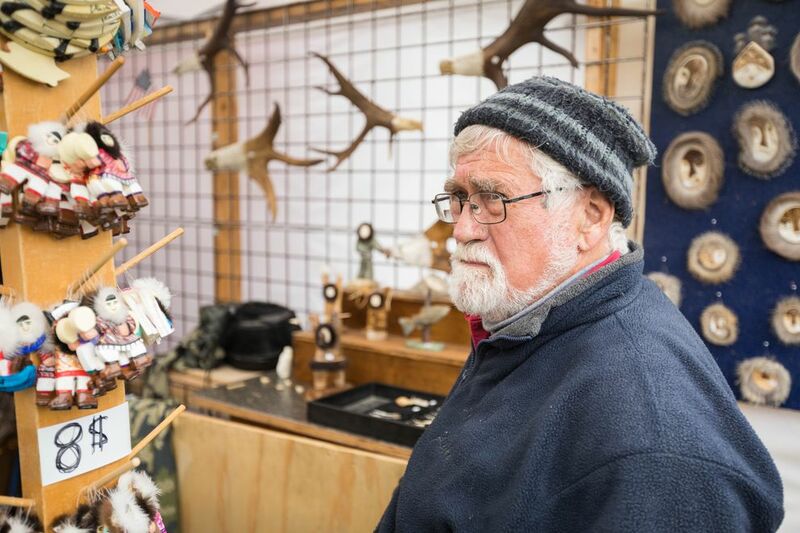 "I got home yesterday and my wife was almost bawling," said David Trotten, who has lived in the Talkeetna area for nearly three decades. Spone said the pilot and his wife had become integrated into the Talkeetna community the past few summers, like many of the pilots who work for the aviation companies. Tourists like the ones on board the flightseeing plane help keep Talkeetna vibrant in the summer. The four passengers on the plane, from Poland, may well have stopped in at the general store earlier Saturday, Spone said. It wasn't clear how many of the tourists walking through Talkeetna on Monday and browsing in the shops knew about the crash. Officials at the National Park Service building, the staging area for recovery efforts, fielded questions throughout the day about the television crews outside. Caldwell said he and the other artists were talking among themselves about the crash but weren't talking to visitors about it. Michelle and Joe Braunschneider, of Adrian, Michigan, happened to be at the park service building during a media briefing about the crash. They stood off to the side and listened to an account from the ranger who was lowered to the crash site earlier in the day. The couple had arrived in Talkeetna moments earlier on the train. They realized that the pilot, Layson, was from a town in Michigan about 30 miles from where they live. They said they didn't know his name but were sorry for what had happened. Michelle Braunschneider said they'd looked into a flightseeing tour at K2 Aviation. They decided not to do it, but she said they weren't concerned about safety moving forward. "It's just the weather that's deterring us," Braunschneider said. 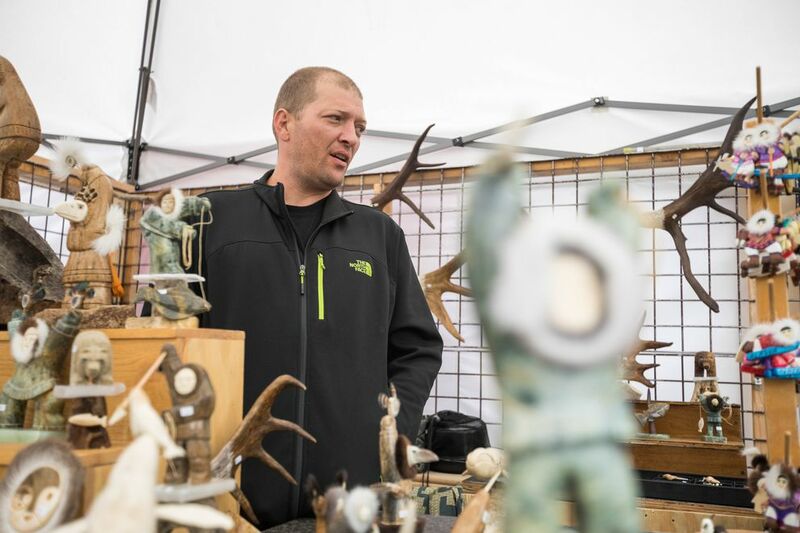 Travis Birck, a carver who lives in Palmer but comes to Talkeetna over summer weekends, said a group of tourists who stopped by his stand Sunday had been planning a flightseeing trip with K2. The group was saddened by news of the crash, but they still were looking to fly, Birck said. 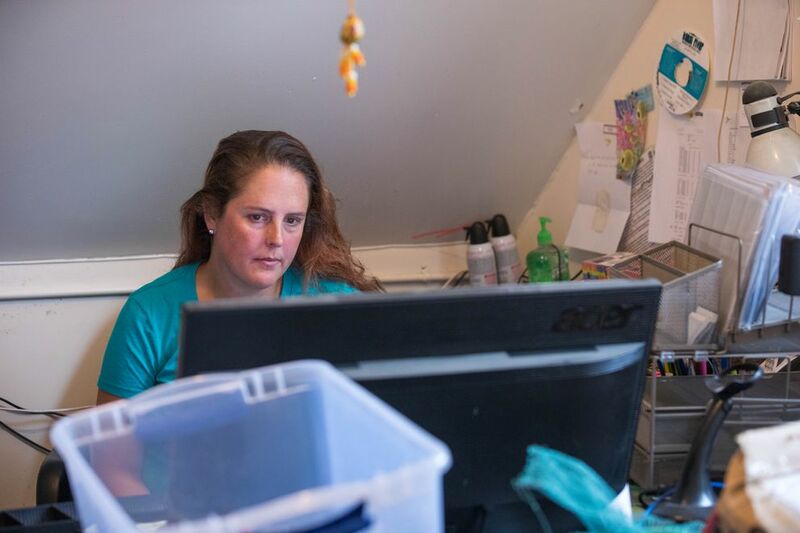 Sitting in her office on the upper floor of Nagley's Store on Monday, Stephanie Spone said the crash was a reminder of the risks involved with an activity that many take for granted. She said she paused to think about the times she's dressed in shorts and a T-shirt for a flightseeing trip, not imagining that she could get stuck somehow. "It just makes you think that we are lucky to be able to do some of the stuff we do, but we should always keep in mind that things can happen," Spone said, fighting back tears.